Modern, elegant, easy care, and resilient. This is undoubtedly how our aluminium windows can be described best. The special window geometry with its convex design sash lends the windows an aesthetic look that is extraordinary in that special way. 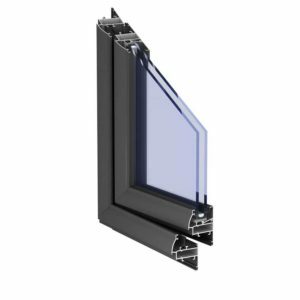 Thanks to their range of variants, their inward and outward opening modes, and their slender sight lines, AluPure aluminium windows are universal solutions. In addition to single-sash variants, there are also multi-sash designs and a number of combinations with frames. Windows are available as side hung, top hung and French style elements. The corner connectors are mitred for the perfect look and functionality. Solid metal corner connectors are fixed to aluminium profiles to form an inseparable bond for strong, stable closed frames. They have multi point locking to get higher security. 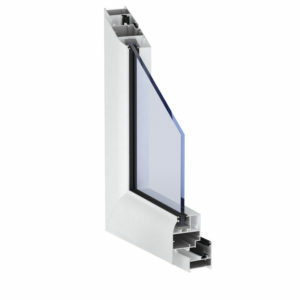 AluPure slim aluminium windows are available in white, black and many more colours. You can be assured of affordable aluminium windows that accord the highest quality, and make your interiors look elegant and modern.